Removing steel or wooden fence posts, crash carriers, or concrete foundations? With 6 tons of pulling power and an automatic chain tightening clamp, the CP post puller has the muscle you need to get the job done. The machine accepts a wide range of different shapes and, if needed, you can use a separate hand lever to add another 4 tons of pulling force! 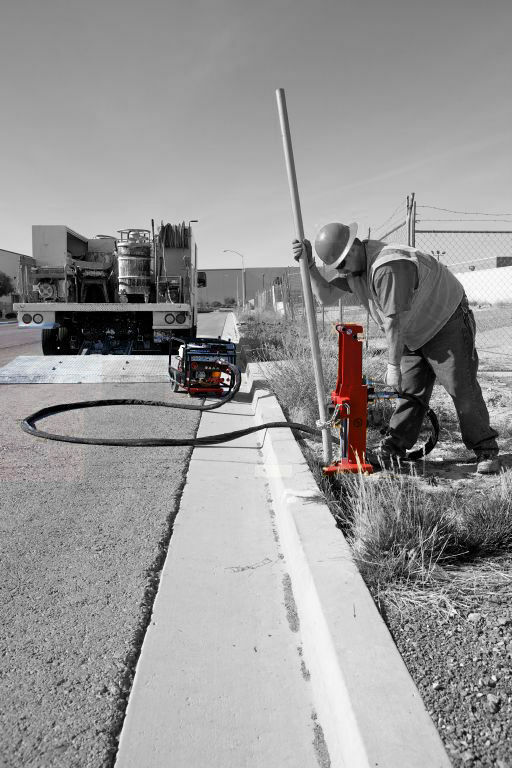 the CP post puller can be powered by a hydraulic power pack or connected to a hydraulic outlet on a truck, excavator, or loader.